The Jurassic Coast Writers’ group was formed in 2007 by local author Sallyann Sheridan with husband and wife Alan and Shirley Stanford and other friends. Over the years people have joined and left but Alan is still a member, and is, at present, our organiser but sadly, Shirley developed cancer in 2015 and passed away in July 2017. You can read a tribute to her by clicking on the relevant page on the menu. She was instrumental in starting the group and, those of us who have known her were very saddened by the news of her passing. Sallyann has had several books published and has a website you can find on our Links page if you want to know more about her. 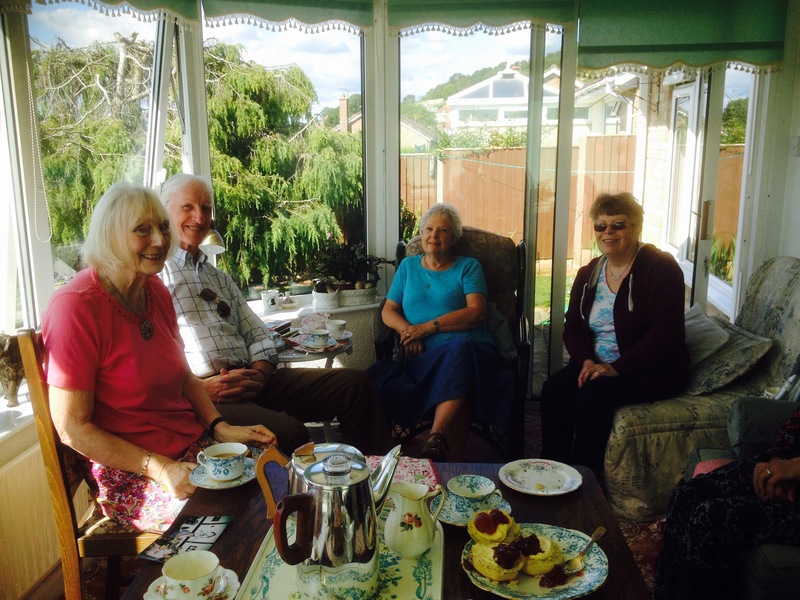 She has moved to North Dorset but still keeps in touch and the group meets at her home at least once a year. She has a Creative Writing radio show on Chippenham FM. These shows can be accessed via her website and are well worth listening to. As the group meets near the border of Dorset and Devon, we have members from both counties and from even further afield. Both Alan and Shirley have had books published on Amazon. Rosemary has a blog, also to be found on the Links page and has a self-help book published, in paperback and on Kindle, called ‘Giving a Talk, a 60- minute guide for novices” for any amateur asked to Give a Talk about a hobby, holiday or other interest. Eve Cox, an ex-member of our group provided the witty illustrations for it. (Eve stopped writing to concentrate on her art work). Rosemary is also attempting a novel but is finding that much harder! Long-time member, Don Jones has published a delightful book of stories for children called Bookworms, which is still available on Amazon as an e-book, and an anthology for for adults, A Quiet Corner. 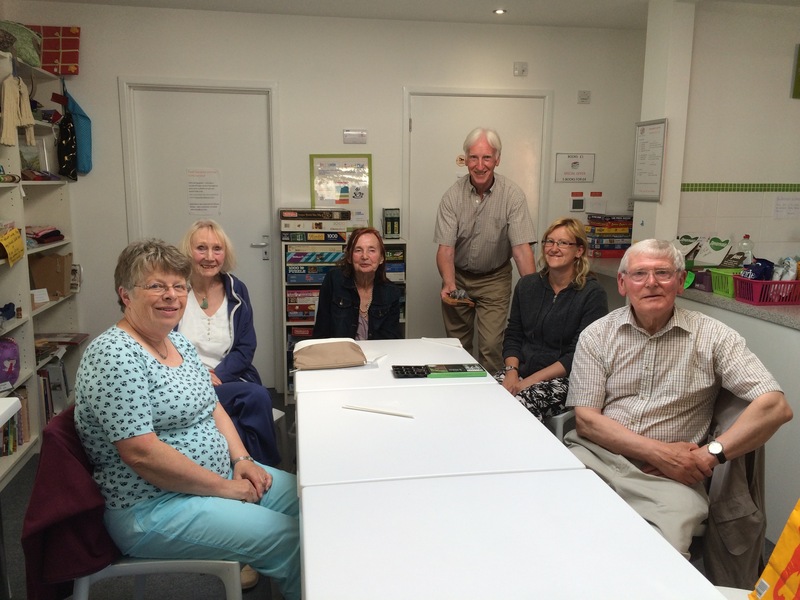 At first the group met in Ida’s cafe and bookshop, which is now the pharmacy, and, after Ida’s closed, for a while, drifted from home to home until it settled happily in Charmouth library. Unfortunately, ill health and busy members mean that, for various reasons, we often have to change dates so we have decided to meet in members’ homes at the present as we cannot commit faithfully to the library and it is easier to change either date or venue to suit who can attend. We have been usually meeting on the first Saturday of the month but, as this often clashes with Bank Holiday weekends, as does the last saturday, we are considering changing to the second Saturday. Anyway, because events get in the way and we have to move or cancel – hence the Late Notices page! Those who are unable to come one month can send in work to be read out and, thus, still contribute – the great advantage of email! We have members from Charmouth, Chickerell, Honiton, Bridport and Chard at the moment so, even if you are not local but are prepared to travel, you would be most welcome. Please check on the Late Notices page to see any last minute changes. 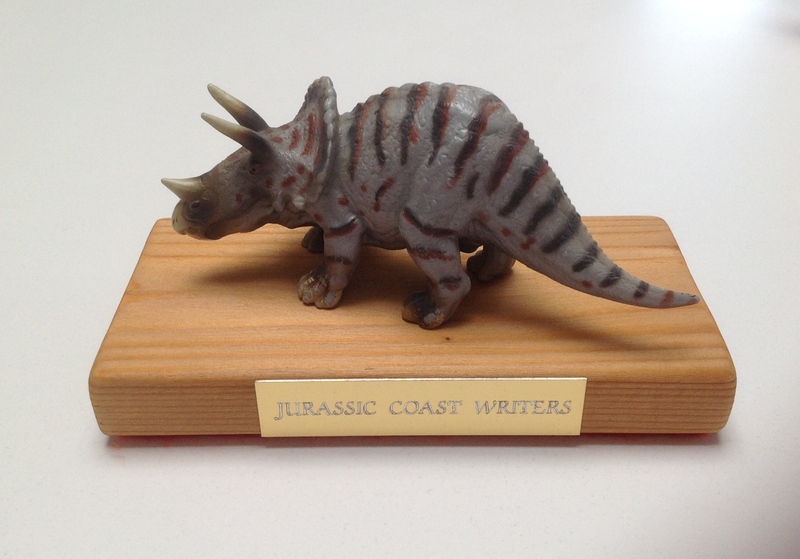 At the library with Alan holding the Triceratops trophy, which he had just won. Here at Joy’s delicious cream tea. 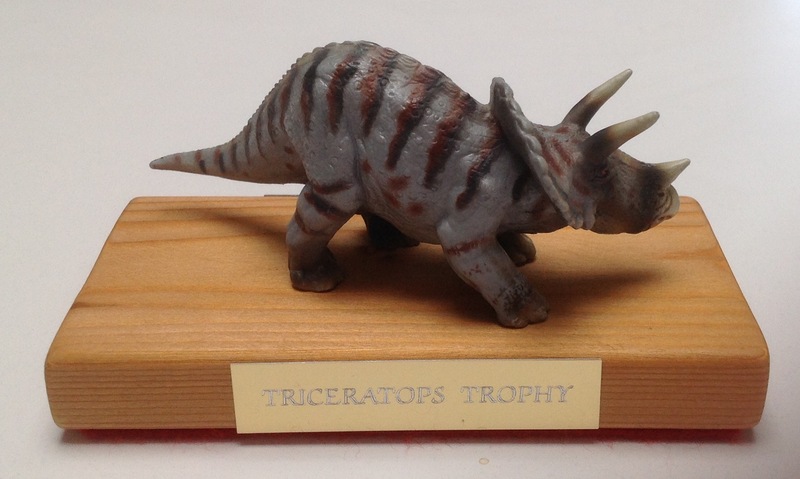 The Triceratops Trophy, a coveted monthly award made for us by Don.